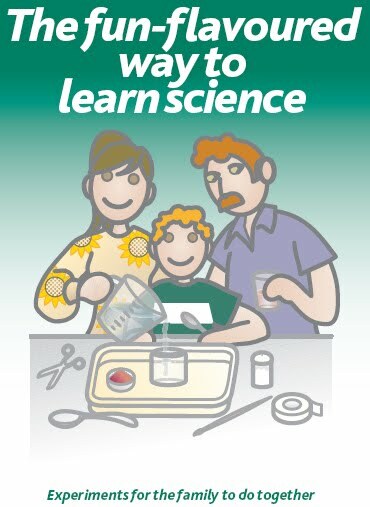 FOODUCATION.ORG: "The fun-flavoured way to learn science"
"The fun-flavoured way to learn science"
Paulina Mata and her colleagues in Portugal have produced a very interesting booklet on "Experiments for the family to do together" (...in the kitchen). In a previous post on inquiry-based teaching methods and promoting students' argumentation skills I referred to a European Commission report. In this report, it is referred to two best practice examples, one of them being the project Pollen (EU Sixth Framework Programme 2002-2006). Slightly embarrassed, I must admit not knowing that a part of this was a resource for families to learn experimenting with and through food. The Portuguese Pollen team together with Paulina Mata have developed the booklet "The fun-flavoured way to learn science - Experiments for the family to do together" in Portuguese and English. However, there were a couple of eye openers for me as well, such as the instant chocolate cake-in-the-mug: a five minute one-portion chocolate cake made in the oven (see p. 54 in the booklet). This might be the topic of a later post. Finally, a good thing about such large projects is that one should be able to trust that the scientific/pedagogic basis of the material is sound and solid. It is hereby recommended.